Letshego Bank Tanzania has expressed its commitment to serve Tanzanians especially, financially underserved micro and small entrepreneurs with simple and accessible financial solutions. The Bank’s newly appointed Chief Executive Officer Mr Thabit Ndilahomba said in Dar es Salaam yesterday that extending Letshego’s reach and enhancing the bank’s value proposition for customers, staff and other stakeholders is one of his priorities. “In line with Letshego Group’s regional strategy, Letshego Tanzania offers simple and accessible financial solutions that focus on the needs of individuals, as well as micro and small entrepreneurs,” he said. “By increasing access to appropriate financial solutions and encouraging our customers to use their funds for productive purposes, Letshego aims to support the growth of economically active members in the local economy,” Formerly, the Chief Financial Officer FINCA, Mr Thabit plans to bring to his new role a valuable understanding and appreciation for the financial dynamics and performance of the business as a whole. On his part, Letshego’s Group CEO, Smit Crouse said Mr Thabit’s local experience gained from multiple growth sectors in Tanzania, as well as his financial skills and background position him well in delivering Letshego’s strategic ambition for Tanzania. “Letshego remains committed to Tanzania while progressing in its ambition towards providing solutions that create opportunity and flexibility for both individuals and small businesses, across Tanzania,” he said. Prior to joining Letshego, Thabit worked for FINCA Microfinance Bank where he held various senior positions including Chief Finance Officer and Chief Accountant. Thabit’s career also includes tenure with the RENCO Group, where he was Chief Accountant and Chief Financial Analyst. Thabit commenced his career as a Tax Assessor at the Tanzania Revenue Authority. 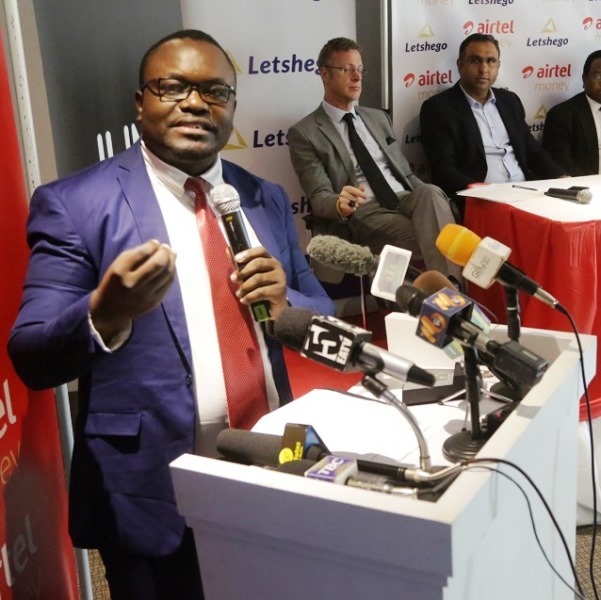 Since taking up his role at the helm, Thabit Ndilahomba announced Letshego’s recent strategic partnership with Airtel Tanzania and Jumo, a savings option entitled ‘Timiza Akiba’. This innovative savings solution aims to promote a local savings culture by enabling customers to save money in their mobile wallets, incentivizing committed customers with rewards and interest, even on low account balances. Letshego in Tanzania has more than 240 employees, offering credit, savings and transactional solutions to individuals as well as small and micro entrepreneurs, with a special focus on affordable housing, education and health sectors.